Are you looking to increase conversions, boost sales and reduce the number of people who walk away from the checkout process? VeriSign argues that customer trust is at the heart of the matter. Find out what IT managers are doing in the real world to make customers feel safer and more confident online. 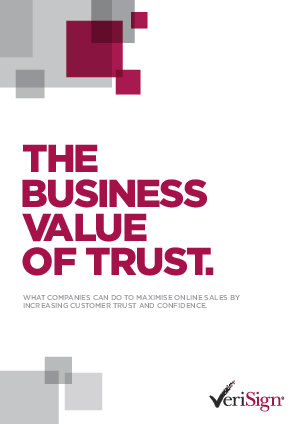 This report looks into the need for trust in ecommerce and the ways in which companies are building it (and, in some cases, undermining it). It also outlines some of the ways in which VeriSign can provide quick, cost-effective ways to make customers more likely to do business.